According to the World Health Organisation, iron deficiency – a condition where your body doesn’t have enough of the mineral iron – is a global public health problem of “epidemic proportions”. It is the single most prevalent nutrient deficiency in developing and industrialised countries, and the most common cause of anaemia. Anaemia occurs when our red blood cell count and/or haemoglobin levels are too low, resulting in an inability to transport sufficient oxygen throughout the body. Iron is required in order for haemoglobin to transport oxygen. This week Australian Prescriber published an update on the problem of iron deficiency in Australia. Young women, children and disadvantaged groups are at highest risk. Around 12-15% of women who are pregnant or of reproductive age and 8% of preschool children in Australia are estimated to have iron deficiency anaemia. Iron deficiency without clinical anaemia is even more widespread. Although vegetarians and vegans are broadly thought of as being at high risk of iron deficiency due to an absence of red meat in the diet, there is little evidence to support this. However restricted diets can confer higher risk if not well balanced, for instance in young overweight women who are trying to lose weight. Iron has an essential role in numerous metabolic pathways in the body, including transport of oxygen in the blood, DNA synthesis, breathing, immune function and energy production. 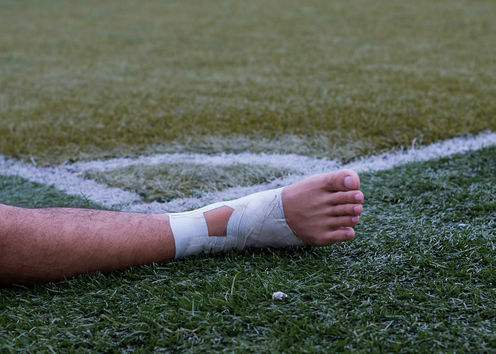 Symptoms of iron deficiency include tiredness, neurobehavioural disorders like attention deficit hyperactivity disorder and restless leg syndrome (a nervous system disorder that creates an irresistible and sometimes unbearable urge to move the legs), and cognitive impairment in children. 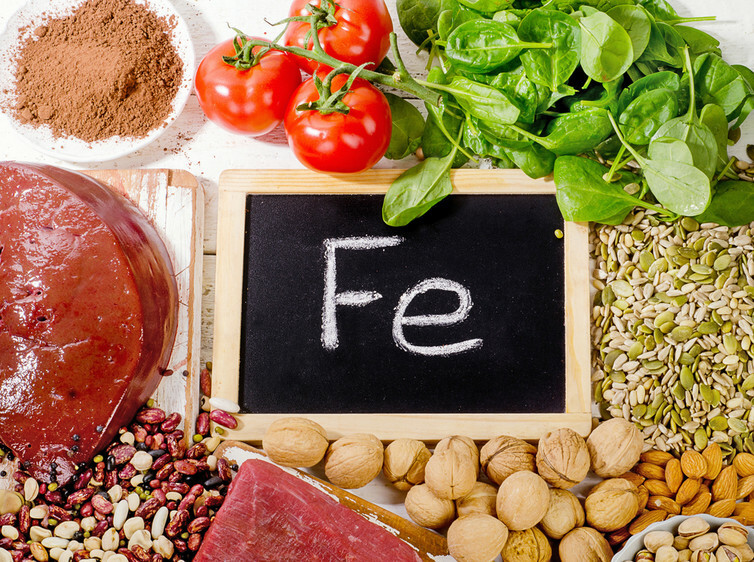 Iron deficiency can have a serious impact on health and productivity. Iron is essential for the developing brain. Iron deficiency with and without anaemia in infancy can have long term negative impacts on brain function and behaviour, and even when levels are corrected, those effects may not be completely reversed. Maternal anaemia can result in preterm birth, and along with high blood pressure or diabetes can compromise fetal iron levels in pre-term or term infants. Breastfeeding provides adequate iron to meet infant needs up to the age of six months. However from seven to 12 months the requirement for iron increases significantly (up to 11 milligrams per day), and must be provided via solid food in addition to breast milk. It’s important to understand problems can be caused by both too little as well as too much iron. Hence iron concentrations in the body are carefully regulated and professional advice must be sought before supplementing with iron. There are lots of complex causes of iron deficiency and anaemia, and they should be carefully investigated before being addressed. Poor dietary intake is an important cause of iron deficiency, particularly when requirements are increased during infancy, menstruation and pregnancy. Iron is one of a number of essential nutrients we need to get through our diet. Iron deficiency is therefore one of several casualties of poor dietary patterns in Australia and other westernised countries, characterised by excessive intake of highly processed foods and inadequate intake of nutritious whole foods. Dietary iron requirements vary by age and gender. The recommended daily intake (average daily intake that is sufficient to meet the needs of the majority of people) for males varies from eight to 11 milligrams a day for ages one to 18 years, and eight milligrams for all other ages. Women have higher requirements. For ages 14-50 years, recommended daily intakes range from 15 milligrams (14-18 years) to 18 milligrams a day. Needs are higher during pregnancy, jumping to 27 milligrams per day. However during lactation they are slightly less, at nine to ten milligrams a day. Iron requirements for vegetarians have been estimated as 1.8 times more than non-vegetarians, however this conclusion was based on limited research. Dietary iron is obtained in the form of haem iron or non-haem iron. Haem iron sources include meat, poultry and fish, while non-haem iron comes from a variety of plant foods such as legumes, wholegrains, green leafy vegetables, nuts, seeds, fresh and dried fruit. These plant sources are core components of both vegetarian and vegan diets. Non-haem iron is believed to be less available than haem iron. This is because plant foods contain substances that can inhibit absorption of iron. mixing baby spinach in salads - green leafy vegetables contain iron and vitamin C, a complete package. Soaking and sprouting legumes, wholegrains and seeds makes the iron more available from these foods. It is important to note the absorption of non-haem iron varies considerably, and has been shown to be higher in people who have greater iron requirements. This suggests the body adapts to low iron by increasing its absorption. 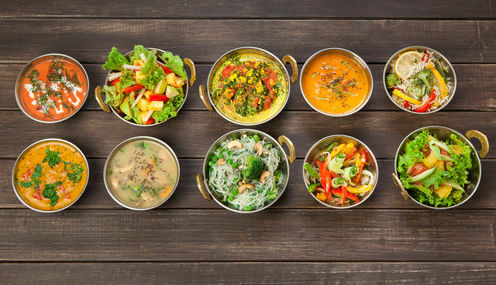 Vegetarians who follow a balanced diet have been shown to have higher iron intake than that of non-vegetarians and there is little evidence of lower iron status. A table of the iron content of foods commonly available in Australia is provided here. Iron is an essential nutrient with a range of critically important functions in the body and brain. Assessing iron stores and causes of anaemia is complex and should be performed by a professional. We can ensure adequate intake of iron by eating a healthy balanced diet with a variety of whole foods including (but not limited to) meat as well as plant sources. Natalie Parletta (formerly Sinn) has received funding from the Australian Research Council and is currently employed by a National Health & Medical Research Council Program Grant.